The promise of adventure! The rolling hills, a walk by the sea, or rambling through the woods...who knows what we might see, who we might meet along the way, or where we will end up? 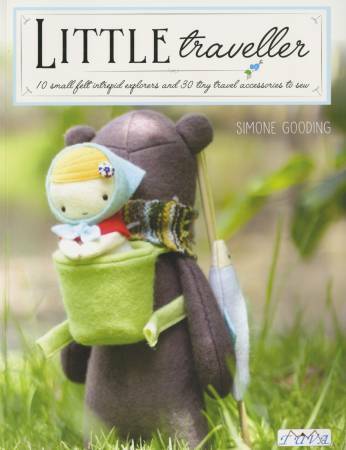 This enchanting book contains step-by-step instructions and diagrams for a delightful collection of animals and dolls made from 100% wool hand dyed felt, complete accessories. You will find a Hedgehog and his Sleigh; a Snail who lives in a mailbox; a Girl and her Bear; A Boy, his Lighthouse and Penguin; a Fox who is all set ready for his next adventure; and many more. These designs are suitable for most toy makers, each brought to life on the page by one of Simone Gooding's wonderfully whimsical illustrations.